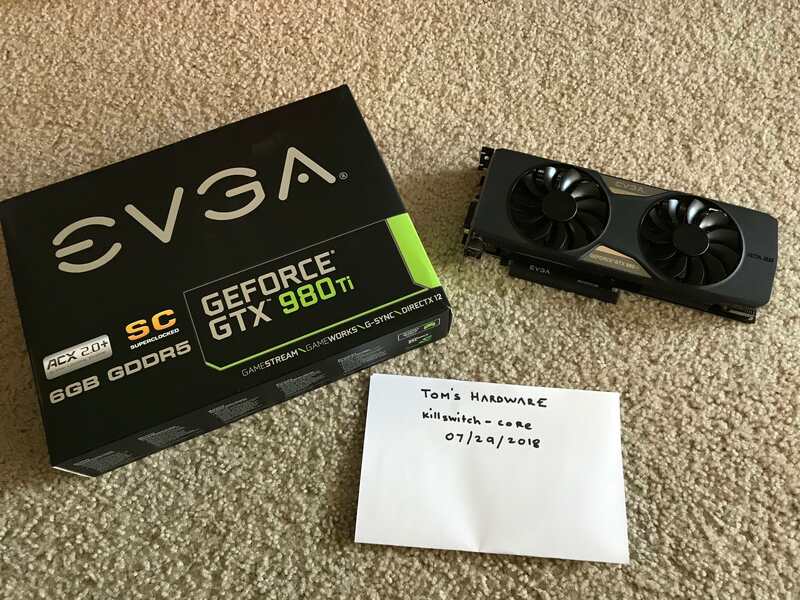 Selling my EVGA GTX 980 Ti Super Clocked ACX 2.0+ for [strike]$375[/strike] $230 [updated price] which includes free shipping. I am the original owner and the card is in excellent condition and was not ever overclocked. It comes with everything that came included with the box when bought new. Only accept Paypal and will ship within US for free (USPS which will include tracking no). You do realize you can get a brand new GTX 1070, which is as good, if not better, for $380 right? For $430 you can get a 1070ti. The mining craze bubble seems to have burst, and GPU prices are starting to settle down. Not to mention, those items will not have any miles, or previous overclocking, on the odometer. Free shipping brings it down to 365 if you figure ten dollars shipping, but 3 bones would be a lot more reasonable. Especially considering we are beginning to see a LOT of used cards flood the market and newer cards are coming, which means 1000 series cards are likely to get discounted even further since there is no mining demand right now. Updated offer. Thanks for looking. Still available, message me if interested! Thanks. Mod removed your comment, can you message me your question privately. Thanks.